Where did Leia get this suit? You’re about to find out. 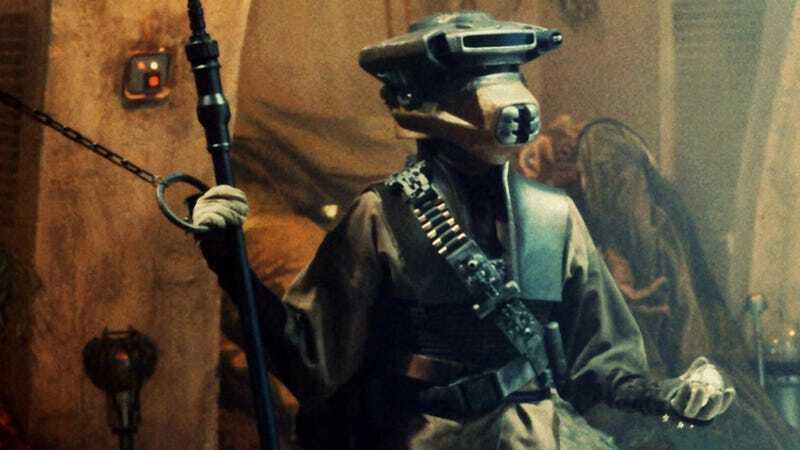 That question is: Where did Leia get the Boushh disguise she wore to Jabba’s palace? Well, the Forces of Destiny short Bounty Hunted answers that question. Watch it here. There’s much more in the new season of Forces of Destiny, including stories from all the eras of Star Wars: Clone Wars, Rebels, Rogue One, The Last Jedi, The Force Awakens, The Empire Strikes Back, and, as seen above, Return of the Jedi. You can view them all in the playlist below, but if you only watch one, we definitely suggest episode eight, Porg Problems. And if you are wondering, yes, those are the voices of Mark Hamill, John Boyega, Daisy Ridley, Matt Lanter, Kelly Marie Tran, and so many others. Though you can watch them all right here, the episodes will also air on Disney Channel this Sunday, March 25, at 9:50 pm.